Show your support by liking us on Facebook and following us on Twitter! Official Statement by Boston 2026 on the Selection of Boston by the USOC as the SUmmer Olympic Candidate City for 2024. Like many others across New England, it was with great surprise that we heard the news of Boston being selected by the USOC as the bid city for the 2024 Summer Olympics. However, our shock was not that such a worthy location was selected, but that we never thought that this was how our dream of Boston hosting the 2026 Winter Olympics would end. 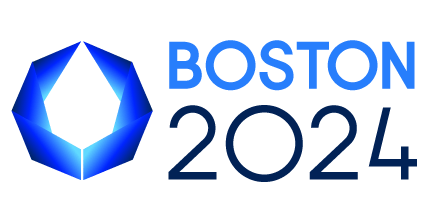 While we still believe that the Winter Games are a better fit for the city of Boston and New England, as of today we are no longer actively pursuing a 2026 Winter Olympic bid. The 2024 Summer Olympic host city will be chosen in 2017. There is much work to be done in the next few years to ensure that Boston is selected to welcome the world. Continuing on with our efforts toward the Winter Games in 2026 would be both unrealistic due to that timeline and would be counterproductive to Boston's Olympic chances which now clearly best rest with the Summer Games in 2024. We want to offer our whole-hearted congratulations to the Boston 2024 bid committee and thank them for a spirited debate. Both of our movements began in similar grass-roots fashion, and while we had different dreams, we shared the same goal: To bring the Olympic movement to the world-class city of Boston. We hope that our participation in this process helped highlight the potential for Boston to be an exceptional Olympic host, and we will do everything we can to assist the Boston 2024 committee moving forward. Boston 2026 would like to thank everyone who supported our movement from its beginning three years ago. We truly appreciate the backing of stakeholders who shared our vision. We are grateful to the local media for their fair-minded coverage. We continue to be in awe of the support we received from so many people around New England, the country and the world who contributed to this effort in countless ways. Will never forget how you put your heart and soul in to this process. As we peer outside on a beautiful snowy day, we still dream about an Olympics paired with the magic of a New England winter. Perhaps someday this might yet occur, but this can no longer be our focus. Today is not a day of division, but of celebration as we unify behind the Boston 2024 Summer Olympic bid. Let’s work together toward this extraordinary goal.